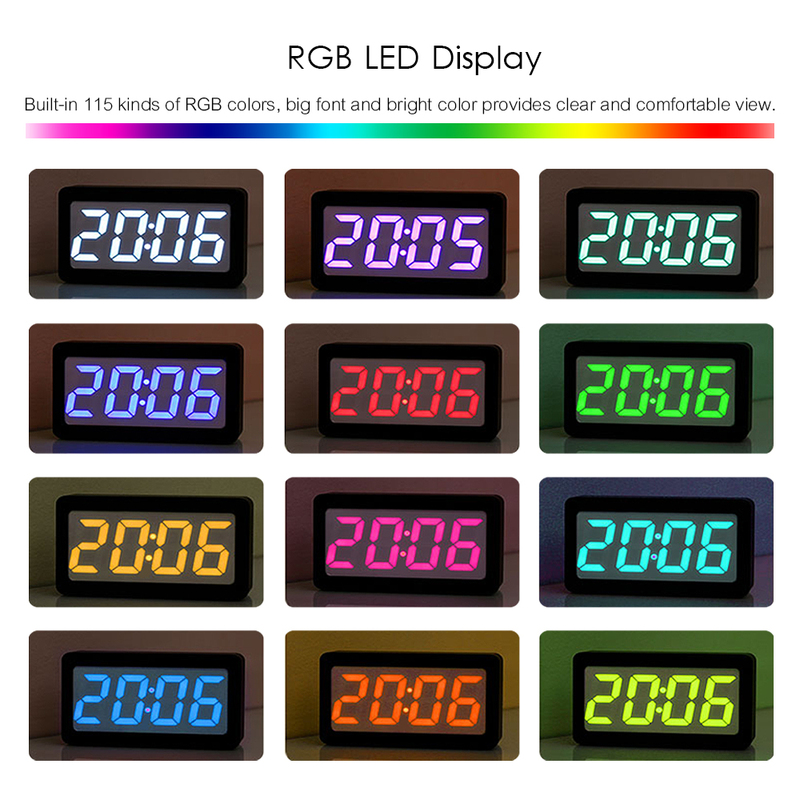 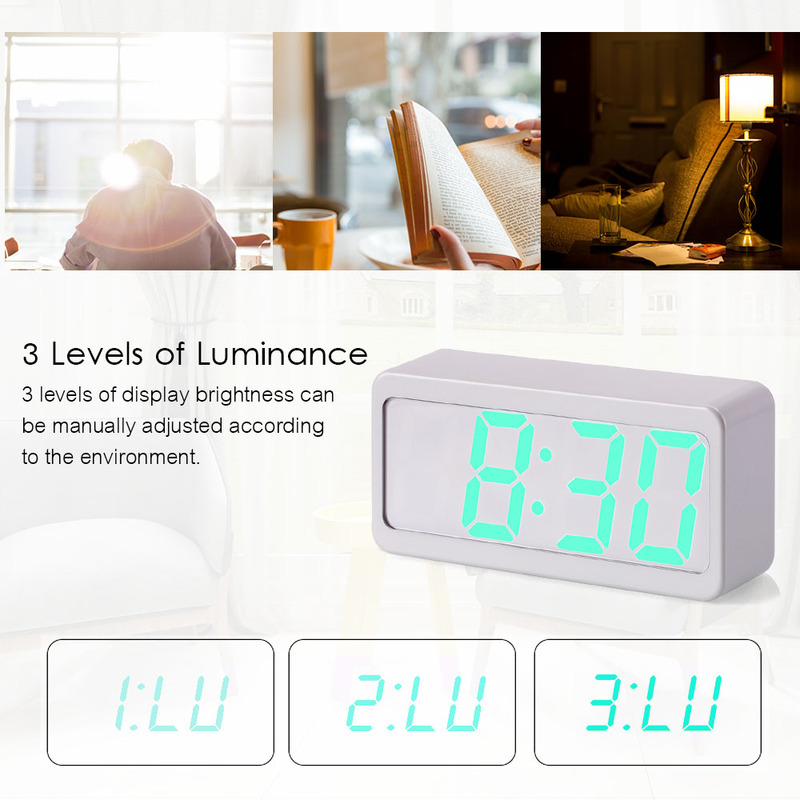 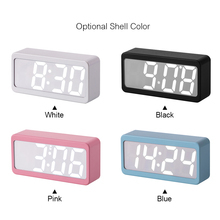 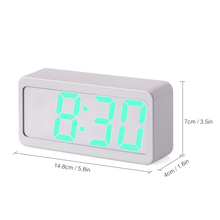 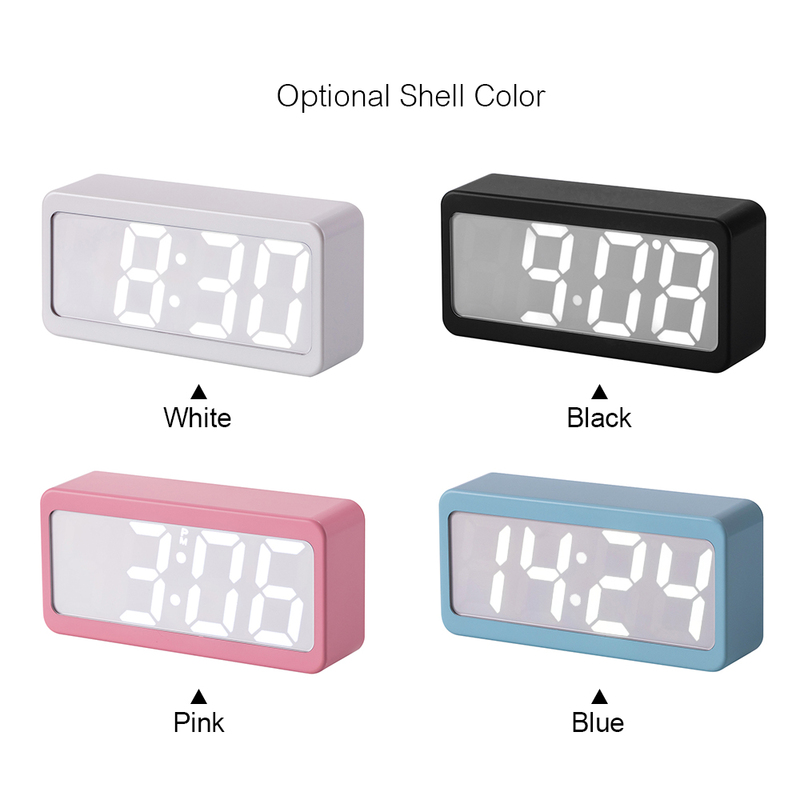 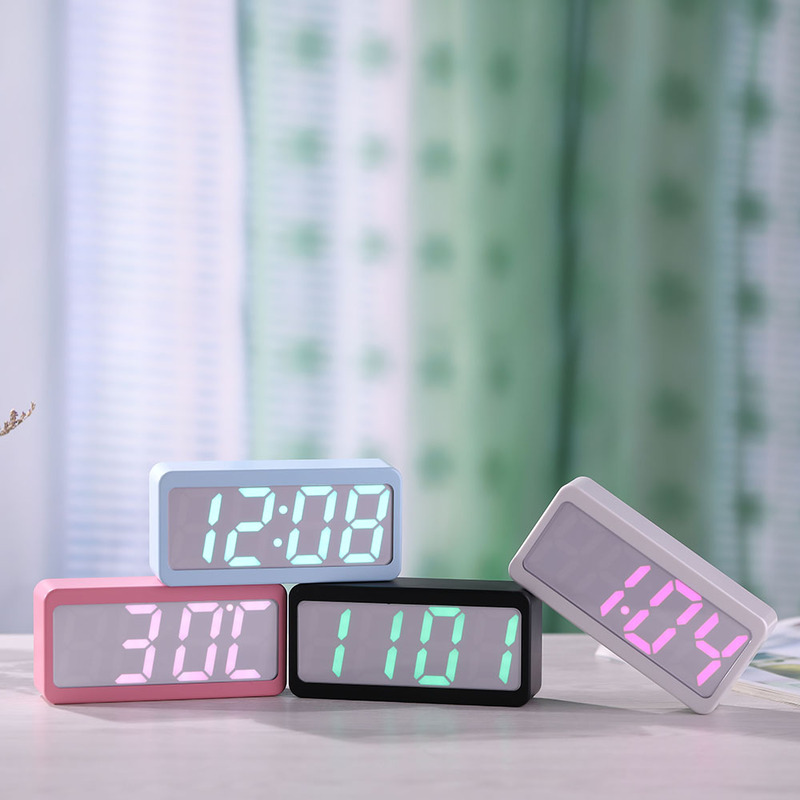 This LED alarm clock, which has 115 kinds of changing RGB colors and adjustable 3-level brightness, always provides appropriate brightness for clear and comfortable view. It has alarm and sound control function. 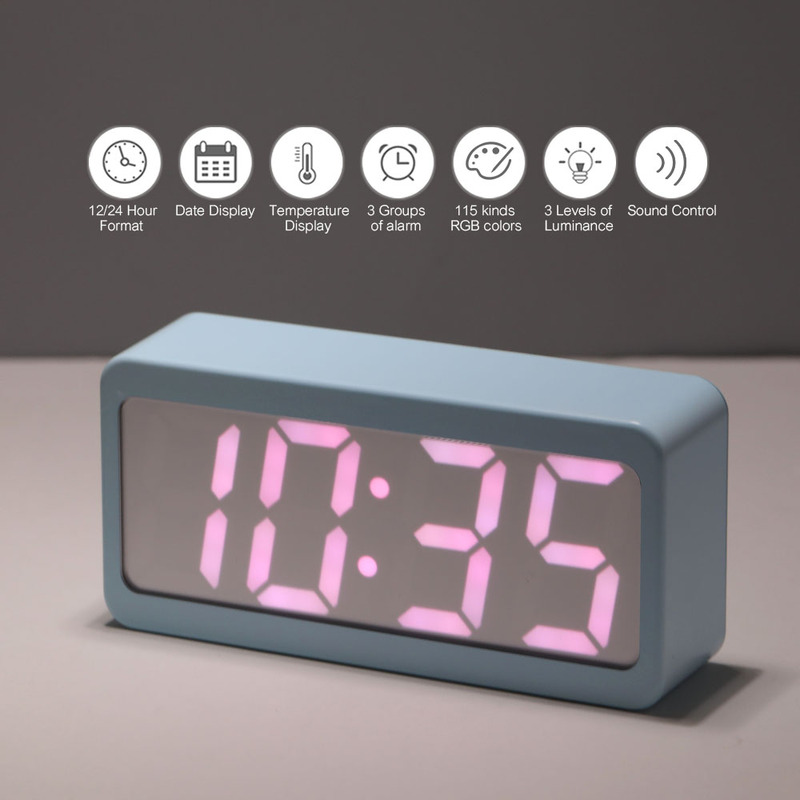 Perfect desktop alarm clock you can not miss! 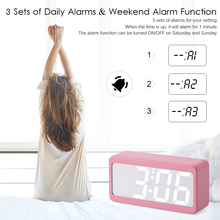 Weekend Alarm Function: the alarm function can be truned ON/OFF on Saturday and Sunday. 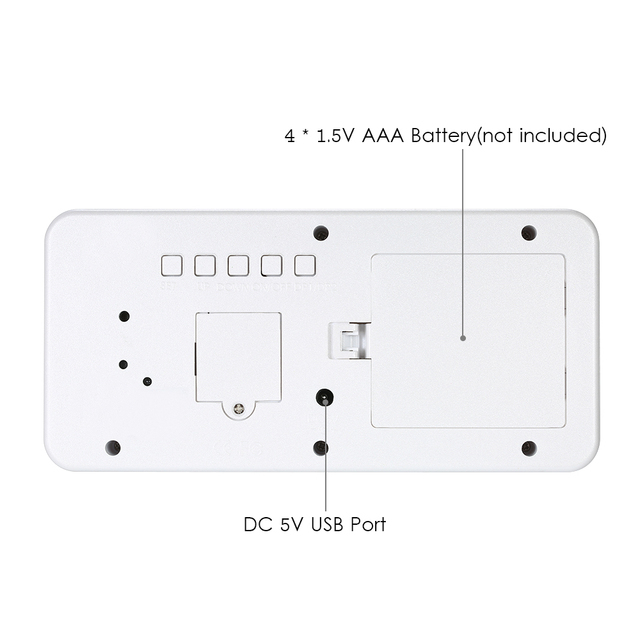 Double Power Supply: powered by DC 5V(USB cable is included) or 4 * AA battery(not included). 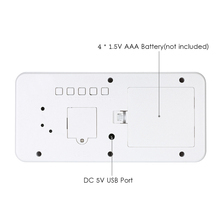 Built-in Button Battery for Memory: when the external power supply is cut off, the built-in button battery will automatically work to keep the settings(LED does not display).